Running a meeting that is productive for you and your company can be very rewarding. Having an efficient meeting can increase your team morale, build enthusiasm for the company and allow for a more productive workplace. 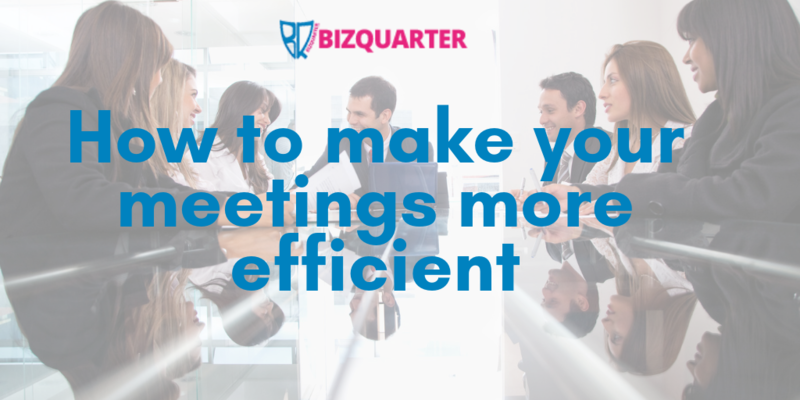 Meetings that are underutilised can be a waste of time for everyone involved but below are some tips on keeping your meetings efficient and getting the most out of them. It is important to go into the meeting with a goal and outcome in mind that you want to reach by the end. Having a clear objective can speed up the process of the meeting and helps avoid distractions. It also allows you to plan beforehand how much time you are willing to spend on each topic. With the objective set it can allow you to measure if the meeting has been efficient and worth your time – if not you can then try to improve for the next time. An important part of having an efficient meeting is starting and ending on time, as being late or overrunning can cause attendees to lose interest. The time of day you hold your meeting is also something that should be considered. Holding a meeting right before lunch or before the end of the workday can lead to distractions. People might not be paying attention and might not be focused on what is being discussed, resulting in the meeting being less productive. Meetings also tend to become less productive after a certain period of time, so make sure that it doesn’t drag on for too long. To maximize engagement and focus, avoid jumping into the serious matters straight away. Set the tone before the meeting starts by raising energy and talking positively within the group. This can set the tone for how the rest of the meeting will go and can ultimately improve efficiency. As a leader, you are also setting an example, reiterating the point above. If you are on time that sets the tone for an effective meeting and allows you to stick to the points outlined in the agenda. Where a meeting is held has the ability to make it more or less efficient so having a successful meeting space should be a top priority. It can be worthwhile booking a meeting space that will provide you with the facilities you need. BizQuarter offers a variety of different rooms that can be rented, from executive rooms to treatment rooms. They are available in hourly slots and allow for an open, professional space without having to commit to any monthly payments. When discussions arise within a meeting it is easy for the conversation to go off topic. As a leader it is your job to set the tone and therefore it is important to have the skills to bring the conversation back to the original point. Holding the meeting in a distraction free zone can also keep everyone’s focus on the task at hand. BizQuarter’s boardroom can be easily booked and is a bright spacious room, providing the perfect environment for effective meetings without distractions.